Manny Pacquiao hears the criticism just like every other athlete in the world hears the criticism. They pretend to not read the news. They say that the words of naysayers never actually reach them. They maintain that it’s all positivity, all the time. But everyone knows what’s what. Are these guys sort of tuned out? Of course, they would go insane if they weren’t. However, being sort of tuned out shouldn’t be mistaken for living in a cave. These athletes always hear what the public is saying about them. And Pacquiao is no exception. Ever since last June’s Timothy Bradley fight, there have been two lingering concerns regarding the Filipino champion. The first: why wasn’t he able to knockout a visibly shaken, inferior opponent? There was a knockout to be had in that bout, and yet Pacquiao just couldn’t do it. There has to be a reason. The second question is a bit more complex: what sort of impact did the war that Pacquiao got from Juan Manuel Marquez last November have on his psyche? Furthermore, did so many people suggesting that he shouldn’t have won that match impact his confidence in any way? Those are two key questions. Not because of what they mean for Pacquiao’s legacy or something theoretical like that, mind you. No, they’re key because they will tell us a lot about how he will perform in the future. If a fighter enters the ring against a veteran like Marquez with his mind in the wrong place, it can and in many cases will impact the end result. During a recent interview with the Los Angeles Times, Pacquiao eased all the concerns. He made it clear, once and for all, that his confidence wasn’t at all hindered by recent happenings. And why will it be different? Did the Filipino champ unlock the key to beating Marquez? Yes, apparently. Is he right to be this confident? Time will tell. But it’s definitely a good thing that he is. Recent happenings would have shaken a weaker fighter mentally. And once that happens, defeat is basically imminent. Pacquiao is brushing off his last two fights – as he should. He is approaching his upcoming bout as a way to make a statement. And fans, for their part, can’t wait to see what that statement will be. 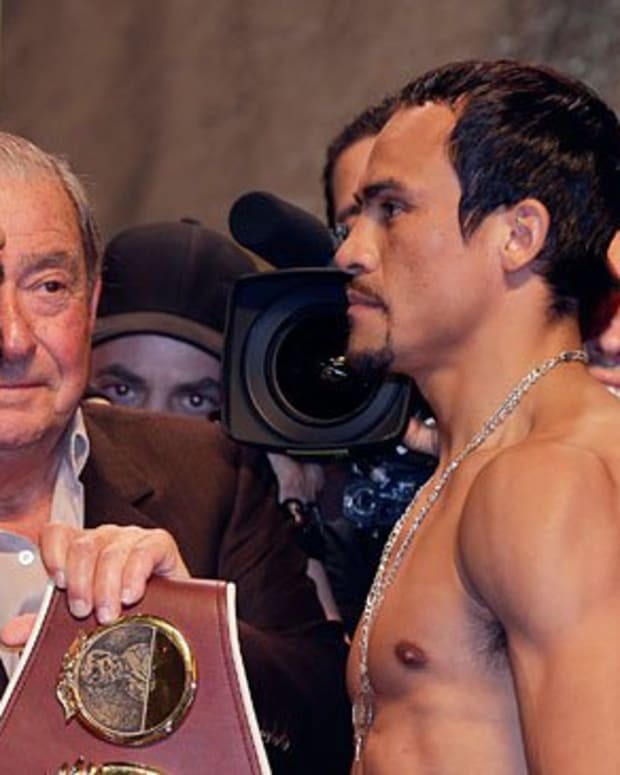 Is Manny Pacquiao vs. Juan Manuel Marquez Really a Rivalry? Why is Manny Pacquiao Getting Vilified for Beating Juan Manuel Marquez? Will Manny Pacquiao Retire Juan Manuel Marquez?